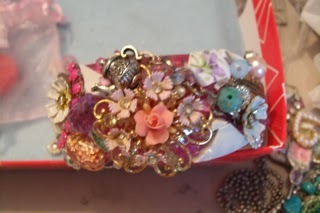 Such an intricate bracelet ! I can't say I've ever worked with china before. I would have been so afraid to shatter it into tiny bitsy pieces ! Wow radical ingredients good pairing Lori! So nicely wrapped! 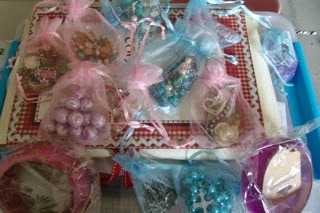 Lovely pieces you made. Beautiful artistic pieces, very creative. Broken china?! Dang! You really made that work out nicely. The bangles are clever and pretty. Amazing job! how creative to use grout! and i love the idea of the china - I'd never have known what to do with it - but that's brilliant! How absolutely beautiful. I think I may have to try mosaic jewelry now. Natalie I absolutely love what you did! You totally rock! Such a unique concept and it turned out beautifully. I love both bracelets. You have been so inventive and creative with your bead soup! You did a Soup-er job! Very interesting and artistic pieces! Gosh! 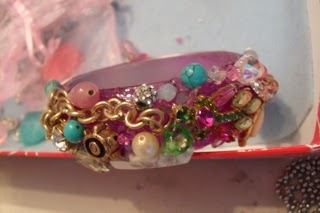 I'm crazy about bangles and I sure would love to make one like this. It is just beautiful. Both bracelets are stunning. Congrats for being so creative and embracing the challenge. Oh my gosh! I would have been totally lost! The only thing I would have thought of was soldering it with copper tape and I really can't do that very well at all! 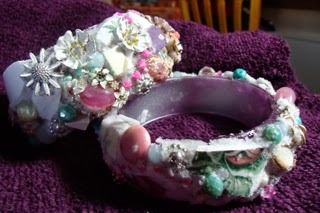 I LOVE how you worked well outside of your box and made some truly lovely pieces. Wow, what a fun idea - great job! 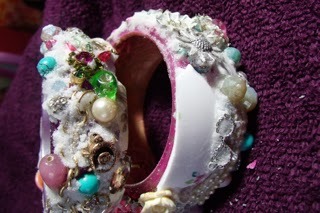 Wow what an unusual bracelet so pretty and creative, well done! These are amazing! I love them. I wish I could see them in person because there is so much to look at. I hope you had as much fun as these look. Wow, this is very special! I love the way you worked with the China... 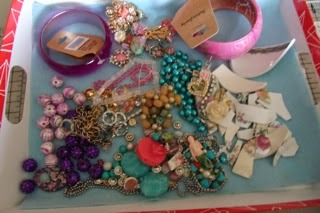 Very elegant bracelets, you're ready♥ for summer! Hi Natalie, I would never had even thought of that!!! What an amazing design! Great Job! Have a Blessed Day!!! What a really cool way to use your soup. I would have never come up with a unique solution and design. Amazing!! What a challenging soup! 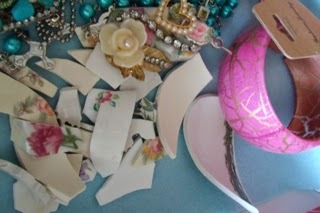 I have seen and admired broken China creations but I wouldn't know how to use them if I got some! 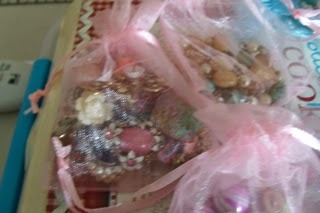 You have created a beautiful mosaic with it and the rest of your soup - vintage and feminine! 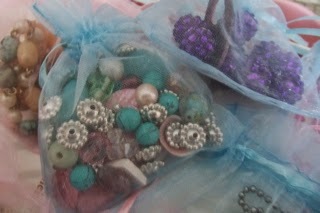 Hi Natalie, You did a wonderful job with your bead soup. I like both of your bracelets. i would not have thought of using the broken china in that way.